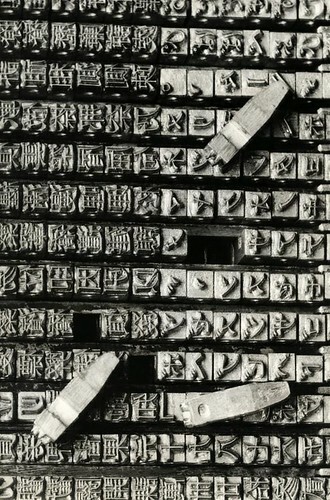 If text is the creation of something and closely related to technology, the photo of the Japanese characters used in a printing press brings the two together. Japanese kanji is an ancient form of the written word and the printing press is an invention that brought text into the modern era. I thought this photo represents the state of today: bridging together the old and new. Many people are coming to grips of being connected to the world 24/7 (not neccesarily a good thing) and learning a new language (the one of the digital world). We are constantly creating something with our words on social media sites, at our jobs (email communications, SMS, instant messaging, etc). Hello everyone. My name is Adora and this is my sixth/seventh course in the MET program. I am also taking 540 this semester as well as working full-time at a private secondary school in Surrey, BC. I teach Math and Biology. My interest in the course is seeing and learning about the evolution of text, language, media, and technology. As a society, the way we communicate with each other has changed very rapidly and I would like to see if this affecting the way the world works and affecting academia. I look forward to working with everyone this semester. This entry was posted in Introductions and tagged adora, creation, introduction, language, media, technology, text, words. Bookmark the permalink. Hi Adora! I like the picture that you posted. I also like the comments you made regarding the bridging together of the new and old. I can certainly see this in your selection of picture. I look forward to working with you too. Looking forward to collaborating with you in ETEC 540. I too am curious about the implications of text based social media for academic purposes. I have recently had great success with using blogging technologies to facilitate understanding and inquiry in my junior high social studies classes. I also read a recent study on how a Math teacher in Winnipeg successfully used blogs to support high school math calculus courses. Considering your background you might find this interesting. Thanks for the suggestion, Al. I’ll have to take a look into it. I really like the concept of bridging the old with the new as represented in the image you chose. Powerful picture!